The Global Fuels Conference and Exhibition has become the world's foremost meeting place for industry professionals involved in alternative fuels for the cement and lime industry. Conference presentations and papers over the years have showcased the state-of-the-art in handling, preparation, storage, conveying, dosing and firing a myriad of types of different types of fuel, including tyres, impregnated sawdust, rice husks, biomass, municipal solid waste, recycled liquid fuel and many other alternative fuels. 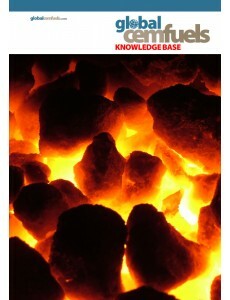 The Global CemFuels Knowledge Base is presented in PDF format on a fully-searchable DVD. Paper 21: A case study on a zero waste alternative fuel production plant in China: Ville Hakanperä: BMH; Meng Fan Xing, Chief Engineer: Handan BBMG Taihang Cement Ltd.
Paper 11: Waste to SRF in North Africa and the Middle East: a viability study: P.P. Cella Mazzariol: Entsorga Italia S.p.A.
Paper 6 Turkey’s first alternative fuel source from municipal waste: Comprehensive report from 3 years of large scale MSW-to-SRF production: Markus Binding, Convaero GmbH; Francesco Malara: Cementir Holding S.p.A.
Paper 6 Enhanced combustion of alternative fuels: Larry Farmer: Air Products and Chemicals, Inc.
Paper 11 Determining biomass in blended alternative fuels using radiocarbon dating: Andrew Pal: Beta Analytic Inc.
Paper 7 Oxygen-enhanced combustion of alternate fuels: Stefan Laux: Praxair Inc.
Paper 9 Advanced process control increases usage of alternative fuels in precalciners and cement kilns: Dr. Eduardo Gallestey: ABB Switzerland Ltd.
Paper 15 Alternative fuels case studies from Slovakia, Czech Republic, Italy and Switzerland: Martin Hap: IKN USA Inc.
Paper 19 Machinery and handling systems for economic reception, transport, storage and discharge of alternative fuels: Michael Gramling: WTW Engineering Sp. z o.o. Paper 4 How to make money with sustainable clinker and cement production: Wim Heldens: IC&C B.V.
Paper 6 Determination of the biomass content of GHG emissions with ASTM D6866: Mauricio Larenas: Beta Analytic Inc.
Paper 18 Proper calciner design to maximize the utilization of alternative fuel: Robert Shenk: FLSmidth Inc.
Paper 3 Use of waste oil for cement production: Alexander Koshi: Arabian Gulf Cement Co.
Paper 23 Energy Savings in the Cement Process: An Integrated Approach: Sanjiv Dhanjal: FCT, Inc.
Paper 20 Enhancing the use of AFR through CFD: Prof. Fred Lockwood, Tahir Abas: Cinar Ltd.